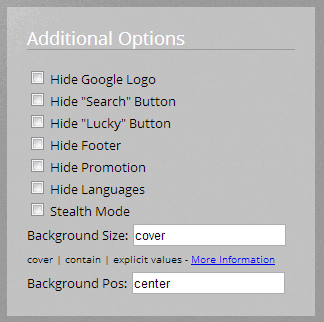 Google stopped custom background image option in last update of November. But don’t miss those elegant homepages. You can still change the background image on Google. 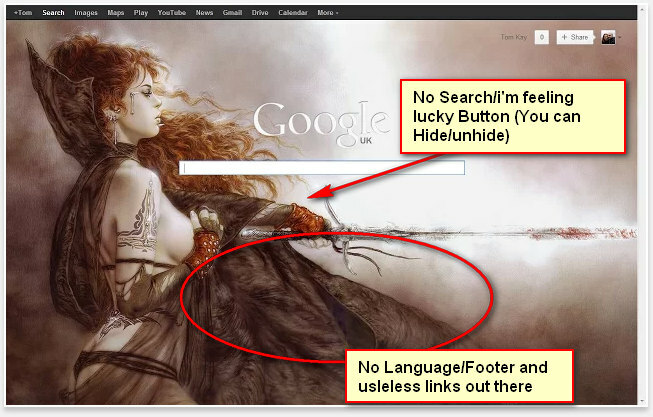 Want to give the feel to your Google Home page? 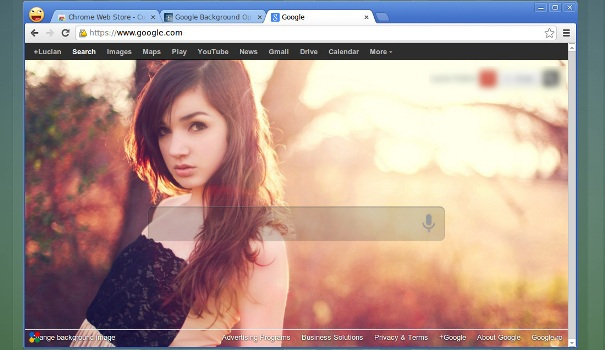 Want to have complete personalize background on you Google Home page in your Browser? You’re 2 minute away from that. Even after Google pull down the costume background option on November 2012, Google chrome use can now still add their desired image on Google Home page. All you need be user of Google chrome, and Install CustomGoogle™ Background extension from Google Chrome web store. Install the extension from there and you will be able to explore and customize your Google Home page to complete new style. Beside changing your image, you can do a lot with this extension. 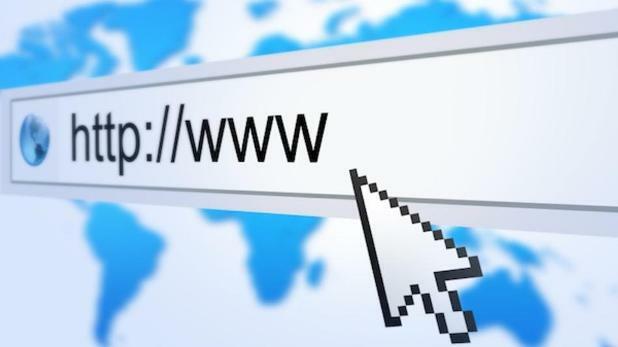 A new tab will open there you will be asked to choose image, you cannot just upload image from your Computer, but a link from Web as well you can find new photo just searching from there. When you’ll open new Chrome Window, a tab will be there for Custom background. 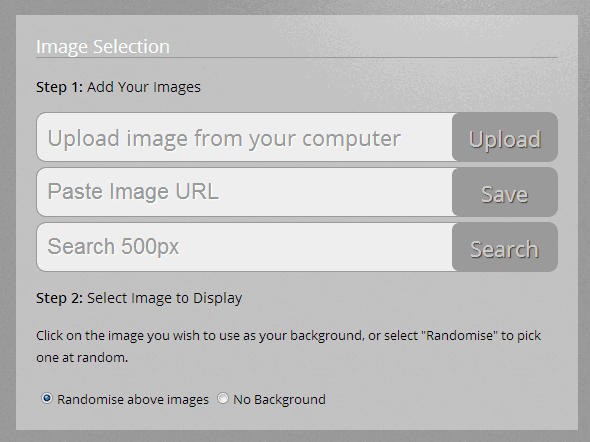 After selecting your Image, you can even select multiple images. You can randomize the selected images on your Google Home page each time you visit the page. You can Hide “I’m feeling Lucky” Button on Google Home page. You can Hide/show Footer on Google Home page. Even you can hide the Language and Promotion links from the home page. Imp: This app will not collect your Data. Imp: This Application can Access your browsing data and tab you opens. This Extension is best if you care about your feel and personalization your area. Don’t forget to share this post with your friends and let them know about this application.